Enter here to discuss anything from Aliens to....some Sci-Fi movie beginning with "z"
Yep- that dang kid who played 'Elliot' (Henry thomas) even got my hubby to shed a tear in the theater, LOL! ET came out in 1982- so the space/alien theme had good momentum. "Today is a good day to die." We are such geeks ! I liked Obi Wan the most - right off the bat. He's my hero. For Christ's sake, is there nothing original?!?! Was that published on April 1st? Nope, the 19th of this month. I know, I thought that too . Yep, The Decretals of Gregory IX or The Smithfield Decretals. On the right you will see f.i-r and a down arrow for a drop down menu. 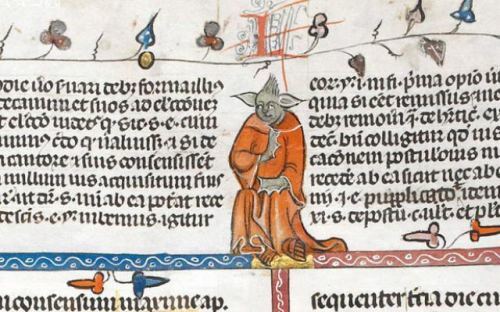 Go to page f.30v to see Yoda.